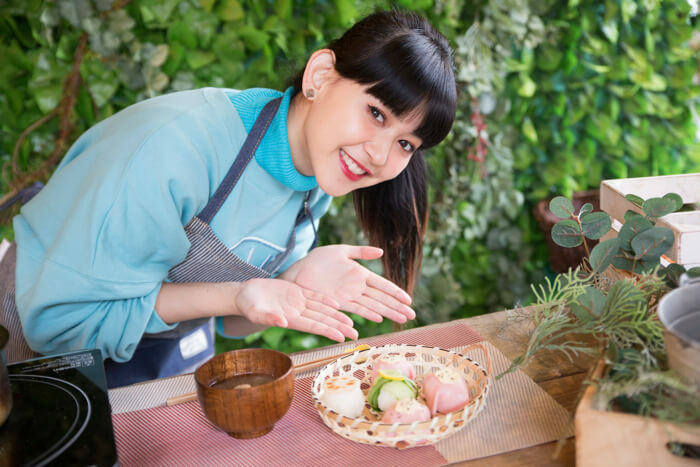 Japanese model Yuri Sugunama, a.k.a “Yurippa,” is taking us on the third trip in her series series where she goes to personally experience Japanese culture and cultivate new hobbies. This time, she gets involved in a cooking lesson to make springtime temari sushi! Yurippa has always had an interest in homemade cooking but never really had the opportunity to challenge herself to it. So, how did she do…? uki-uki cafe is located in Daikanyama which is just one stop from Shibuya on the Tōkyū Tōyoko Line. It’s an easy place to get to just 5-minutes from the station tucked away in a quiet residential area. Upon opening the door to the café, you are greeted with a fresh space full of green plant life. You’ll totally forget about the hustle and bustle of the city. Teaching the lesson is uki-uki cafe’s representative, Ayumi Kashiwabara. She’s a food co-ordinator who promotes happy cooking that you’ll unintentionally want to take a photo of. 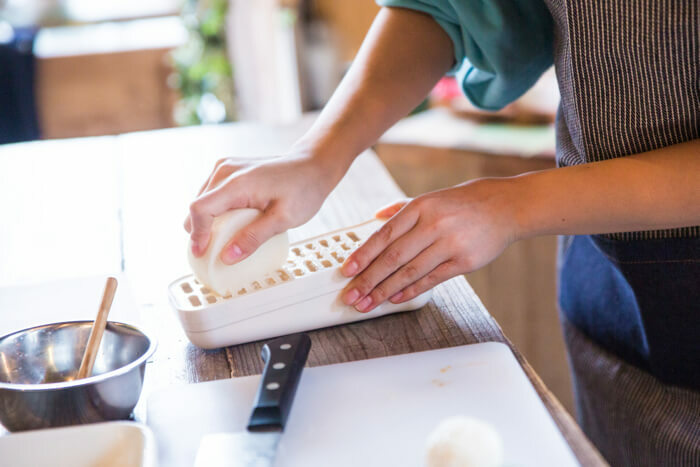 Not only does she serve food that makes your everyday dining table evermore buoyant, she also holds cooking lessons every now and then. “Call me Ayu-chan-sensei, okay?” she says with a pose. She’s extremely friendly! Today’s challenge is making two items: ‘temari sushi’ and ‘spring mizore soup.’ First off, the temari sushi! You begin by mixing together 250g of rice with 25ml of vinegar, 15g of sugar, and 1/2 teaspoon of salt. This is then divided into 8 portions. Spread out some clingfilm and place ham in the middle. Then put one portion of rice on top and roll. Do this for all 8 portions. Roll the ham and rice into one and when taking the clingfilm off make sure that they stay together and don’t separate. At this point, Ayu-chan-sensei added a small touch: “It’ll look gorgeous if you do it like this.” With just a little twist, she made it look even more fantastic by putting on thinly sliced lemon and sprinkling over some pepper. The two of them looked like they were having fun cooking next to each other. Before dishing up the temari sushi, it’s time to make the mizore soup. Add two teaspoons of Japanese dashi to 120ml of water and mix in one teaspoon of soy sauce, one teaspoon of sake, one teaspoon of mirin, and a little salt. Bring to the boil and just add some grated daikon. Daikon skin has nutritional value, so wash it thoroughly and rub dry. 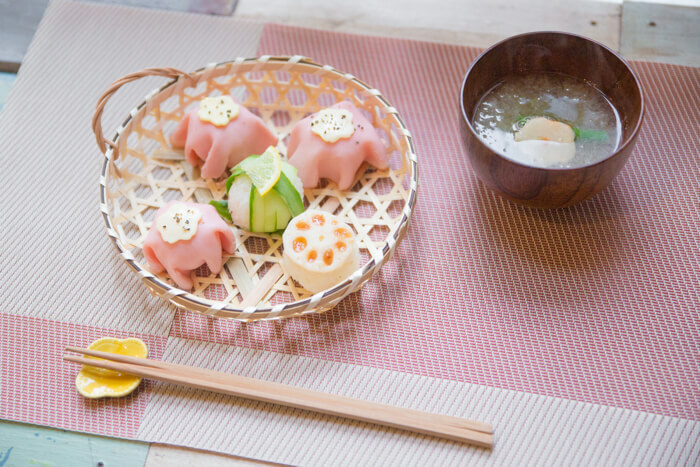 Yurippa’s colourful temari sushi and mizore soup is complete and perfect for spring. Going out and adding seasonal a lunch mat, pair of chopsticks and tableware is fun too. 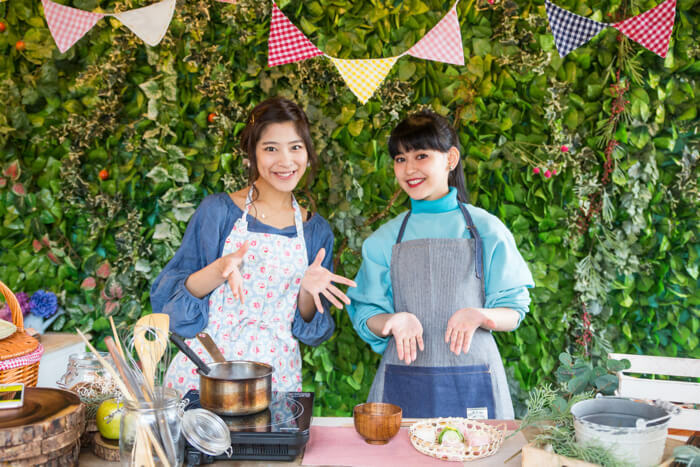 Cooking lessons are held once in a while at uki-uki cafe where you can learn how to make food that’ll make your ordinary days more fun. 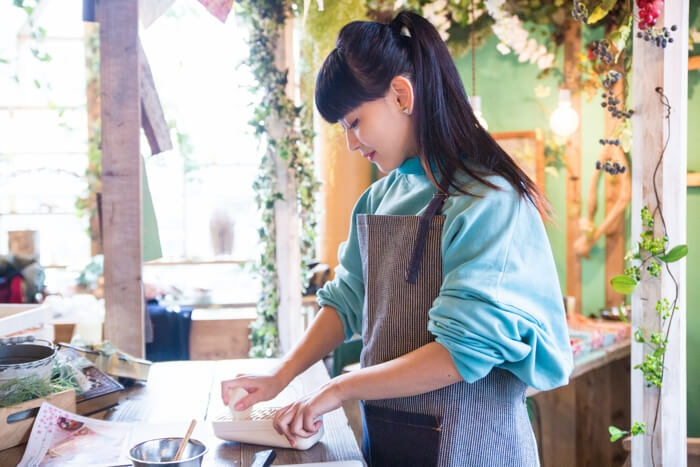 If you think a cooking lesson is a little too much to handle, then just pop in to the café for a kawaii meal. 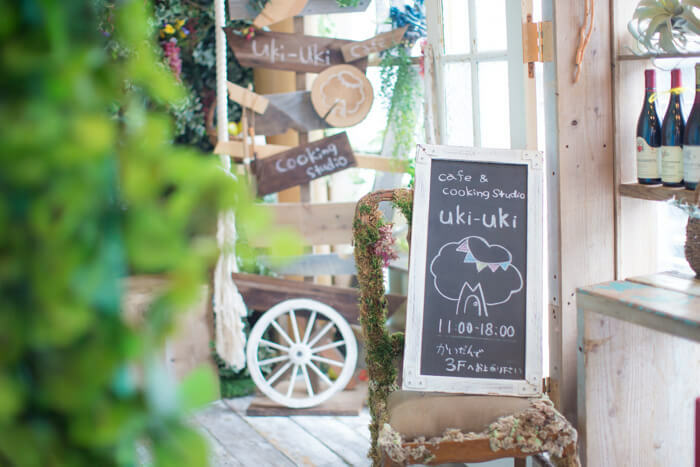 Coming face to face with the food at uki-uki cafe will surely make your day that much happier. *Cooking classes are held at irregular periods. Please enquire beforehand if you are a visitor from overseas. Yuri Sugunuma is a model with a high fashion sense that has been picked up by various magazines. She receives much love and support from girls of the same generation as her to whom she is known by her nickname “Yurippa.” She has a huge influence across her social media. Recently, she has stepped into other fields outside of modelling, such as appearing in TV shoots and in music videos. She is skilled in make-up and involved in the development of cosmetics. 【Kyoto Stroll】 Two travellers, one day of tourist spots, gourmet food and activities in Kyoto! From Kiki’s Delivery Service to Your Name – check out our model’s halloween costume! Exciting ukiyo-e and washoku digital art exhibitions in Kayabacho! Help Me Choose! Japan’s trending makeup: #1 lipsticks loved by everyone!